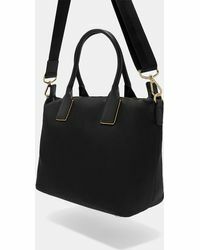 Ted Baker is a popular high-end fashion brand known for its chic, pared-down and effortlessly cool designs. 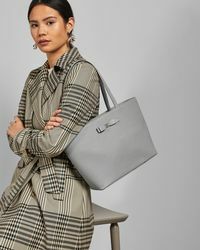 Beginning in 1988 as a small men's shirt company in Glasgow, the label's founding designer Raymond Kelvin has built the company into a worldwide name, celebrated for its luxurious yet wearable apparel and accessories. 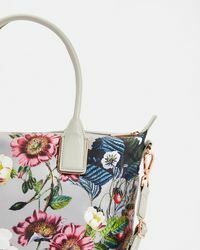 Whimsical prints, daring colour bursts and sleek, sophisticated shapes combine for Ted Baker tote bags. 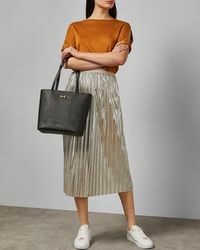 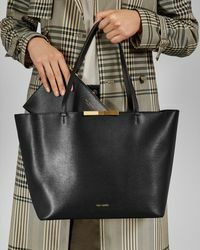 Clean, sweeping lines and subtle hardware create a premium feel, for bags that will transform a weekend shopping outfit.